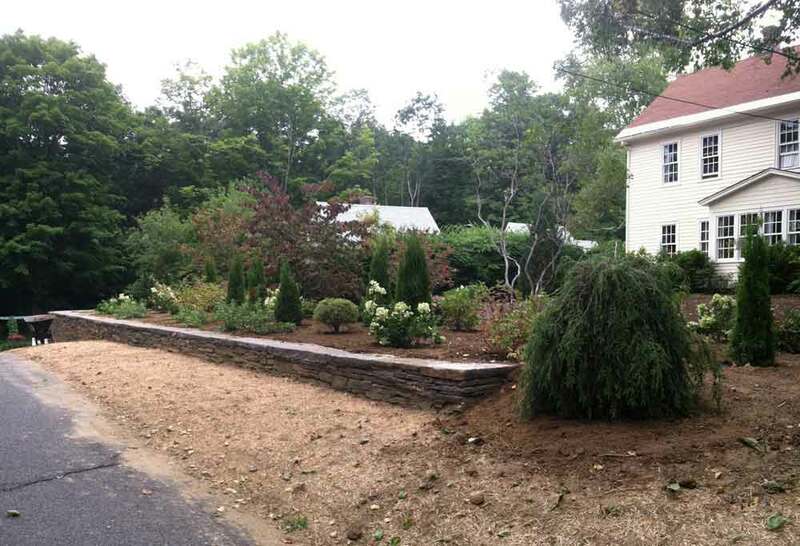 The owners of this residential property returned home one day to find that the local town was removing the mature and ancient hemlocks along the street. 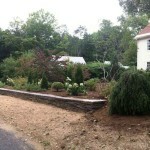 Prior to removal of the vegetation, the jumble of evergreens totally blocked the views from the street to the house. 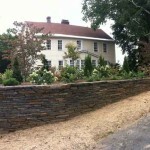 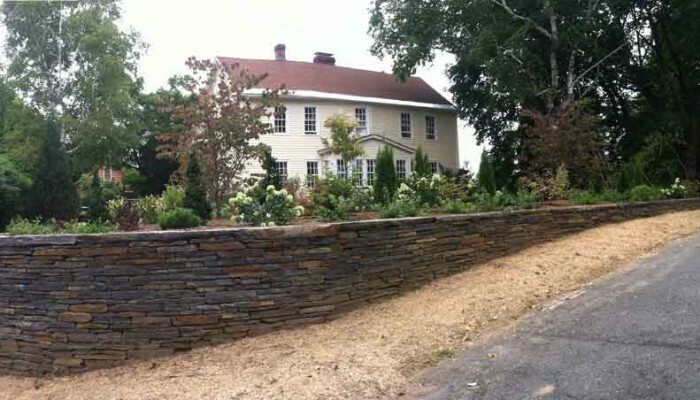 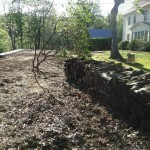 The unexpected removal created a real opportunity, and the owners installed a retaining Goshen stone wall. 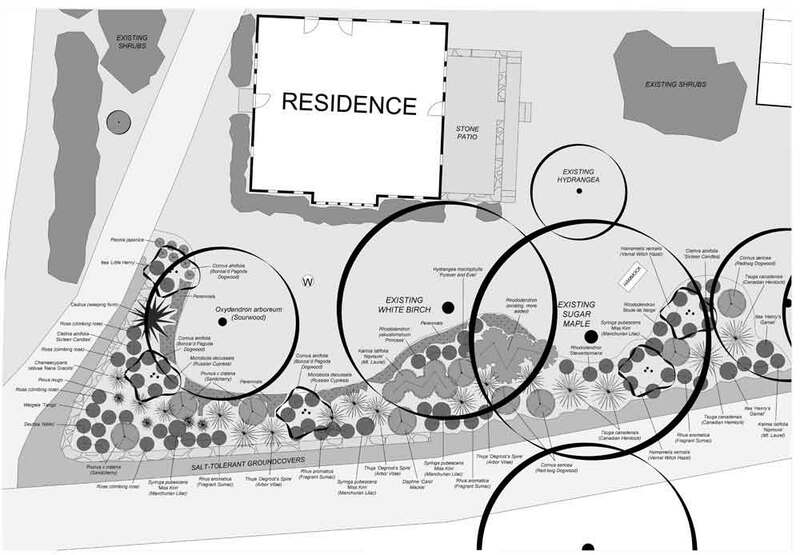 Paradise City Landscape Design proposed a mixed tree and shrub planting which would partially screen the house, but also frame views within and without. 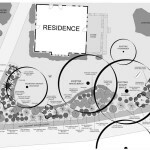 The front lawn was expanded to take advantage of the sun pocket on the southern side of the residence. 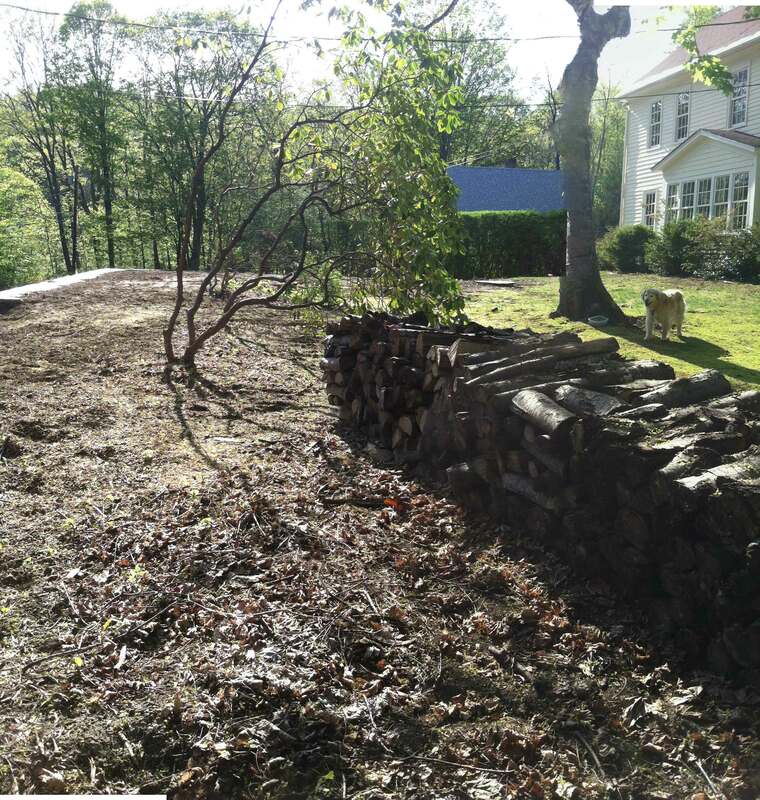 Three medium-sized redbuds were used to define the lawn area, working with the existing white birch and the residence framing the edges.